Is Neurontin (Gabapentin) a Drug of Abuse? Neurontin, the brand name for the medication gabapentin, is most commonly used to treat epilepsy, restless leg syndrome, hot flashes, and neuropathic pain. It’s a fairly new drug, having been first introduced in 1993, and the generic version was introduced in 2004. As such, its uses, mechanism of action, and negative effects are still being studied. Gabapentin appears to be involved with the GABA neurotransmitter, but does not seem to affect the receptors manipulated by common drugs of abuse such as opioids and benzodiazepines. Due to this, it’s not commonly thought of as a drug of abuse and is not on the list of controlled substances in the United States. However, it has properties that are similar to many commonly abused intoxicants and has been known to produce withdrawal symptoms and psychoactive effects. This medication essentially functions as a mild tranquilizer, producing a euphoric high in some users that’s similar to the high produced by cannabis. It also typically creates feelings of calm and increased sociability. Its street names include morontin and gabbies, and it is most commonly used by polydrug users who mix it with other substances in order to increase the effects of the gabapentin or other intoxicant. They also may be misused by those attempting to reduce the symptoms of withdrawal from substances like alcohol. The likelihood of Neurontin or gabapentin abuse to occur is considered low due to its low addictive potential. It does however produce withdrawal symptoms, which is an important aspect of physical addiction. The high produced by the drug could also create a psychological dependence, like any intoxicant. Treatment for addiction to gabapentin will likely be a more complex process than treating addiction to other substances due to the fact that the individual will likely be addicted to other intoxicants at the same time. However, like with any drug, recovery from addiction is always possible. One of the first reports on gabapentin abuse came out in 2004. It was on a study that surveyed patients in a Florida correctional facility, which found that less than 20 percent of the gabapentin prescriptions given out were in the hands of people who had actually been prescribed the drug. Five of the inmates surveyed reported crushing the pills to snort them, with four of the five reporting a high similar to that of cocaine, and they all had histories of cocaine abuse. After that, gabapentin was removed from a number of correctional facilities as an acceptable medication to dispense to inmates. Prescription drug abuse is defined as any use above and beyond that approved by the doctor. This includes taking the medication without a prescription or lying about symptoms in order to obtain a prescription. Of course, taking more than instructed is also abuse, and likely to lead to withdrawal symptoms when intake is stopped. 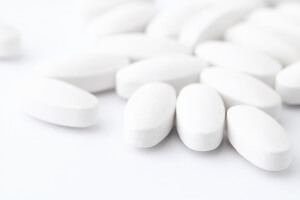 There have been multiple cases of middle-age and elderly patients who were prescribed gabapentin for pain or mood disorders who also had histories of alcohol abuse. Due to the tolerance of a substance similar to gabapentin, they ended up taking much higher doses than prescribed and experienced considerable withdrawal symptoms after they were taken off the medication. More commonly, people attending substance abuse clinics report abusing gabapentin without a prescription. One study found that 22 percent of surveyed patients abused this medication for intoxication purposes, especially for increasing the opioid effects of methadone. A police report from 2011 also found that gabapentin is increasingly being used as a cutting agent in heroin. The fact that this medication is unrestricted, and that it’s common for the dosage to be increased over time, means that it’s easy to obtain via legal prescriptions and then sold on the black market. If gabapentin goes the way of many other intoxicating prescription drugs, recreational use will likely increase until government agencies recognize the danger and begin placing restrictions on it. Lastly, withdrawal symptoms after stopping all use of a drug is an indication of addiction. This happens when a tolerance to the drug has developed, requiring a higher dose to achieve the same effect. As tolerance continues to build, the brain further adjusts its own chemical output to compensate for the effects of the foreign substance. Though most of these symptoms are not dangerous, seizures can cause injury or even death, and suicidal thoughts are always cause for alarm. It’s highly advisable to consult a doctor before going off Neurontin, whether the use of the medication has been with a prescription or not. It may be necessary for the individual to stay in a hospital setting during the worst of the withdrawal period. Prescription drug overdose deaths have been on the rise for many years. According to the National Institute on Drug Abuse, the number in the US alone rose above 25,000 in the year 2014 alone. Gabapentin overdose is rather similar in nature to an overdose of an opioid like heroin or Vicodin. The key difference is that, unlike with opioids, there is no antidote to gabapentin that can instantly block the substance from affecting the brain. Doctors will do what they can to treat the immediately life-threatening symptoms, but permanent damage to the brain or body is possible even if intervention occurs early. Overdose is most likely to occur when mixing gabapentin with other intoxicants, especially opioids and/or alcohol. The fact that gabapentin can be and is being mixed with heroin by illegal distributors is alarming for this reason. Heroin users typically have no way of knowing what is in the substance they purchase on the streets, which is one of the reasons that heroin overdose deaths are so common. Especially with ingestion with opioids, the biggest threat to a gabapentin overdose victim is a lack of oxygen to the brain. The depression of the central nervous system results in slowed breathing, or even a cessation of breathing altogether. If the brain isn’t getting enough oxygen, rapid cell death will soon occur, which can quickly lead to brain damage. The first treatment for this kind of overdose will be to make sure the airway is clear and that the patient is breathing. Additionally, to help the body get rid of the excessive level of the drug, the individual may be treated with activated charcoal. This substance absorbs intoxicants like gabapentin and opioids, and the charcoal then passes out of the body naturally. Stomach pumping is not usually required for gabapentin alone. High or low blood pressure will then need to be treated until it reverts back to a normal level. Once the overdose symptoms are under control, the afflicted individual should consider substance addiction treatment. Taking so much prescribed Neurontin can be a sign of addiction, as it indicates that more is being taken than is recommended. At the same time, mixing substances to increase the high of one or more drugs is a sign that substance abuse is present, and treatment is needed.